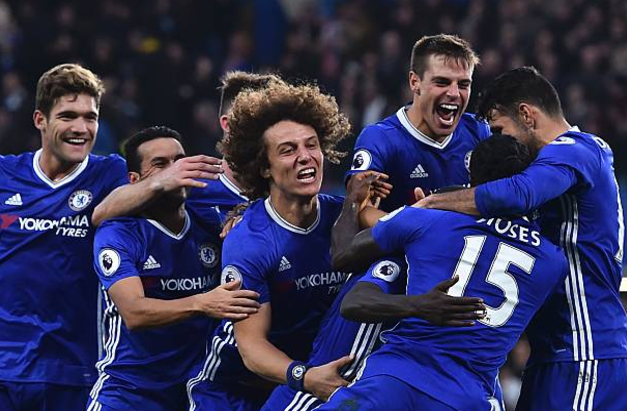 If the weekly mouthwatering displays of Victor Moses still baffles you…well you’re not alone. 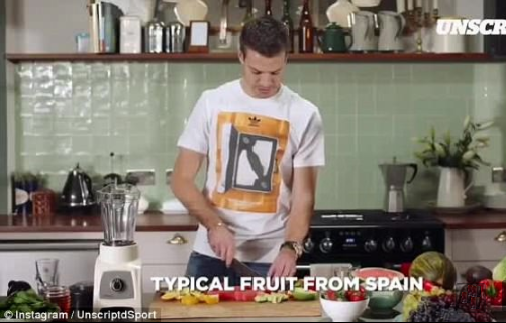 But, it’s all out now because Cesar Azpilicueta has revealed the fuel behind Chelsea’s Premier League title bid – a homemade Spanish fruit smoothie called ‘The Red Pamploma’. Antonio Conte’s side currently hold a four point lead over Tottenham at the top of the table and reached the FA Cup final last week to keep alive hopes of a domestic double in the Italian’s first season in charge. Azpilcueta has been a key member of Chelsea’s success, shining alongside David Luiz and Gary Cahill in Conte’s back three. And the Spain defender has now shared the recipe to his favourite smoothie, which includes ingredients from his home town of Pamploma. ‘The Red Pamploma’ contains orange, watermelon, avocado, red pepper, strawberries, grapes, coconut water and nuts. It also includes a ‘special’ lettuce known as ‘cogollo’ in Navarre – a region of Northern Spain.